There probably aren’t many cities in the world which offer quite so many options for drinking at altitude. Indeed, some of Dubai’s best lounges and terraces are found on the uppermost floors of the city’s ever increasing skyline, which provide a spectacular backdrop for any evening out. While impressive views may come as standard in many Dubai bars, Pure Sky Lounge is definitely one of the best when it comes to places to watch the sun set. 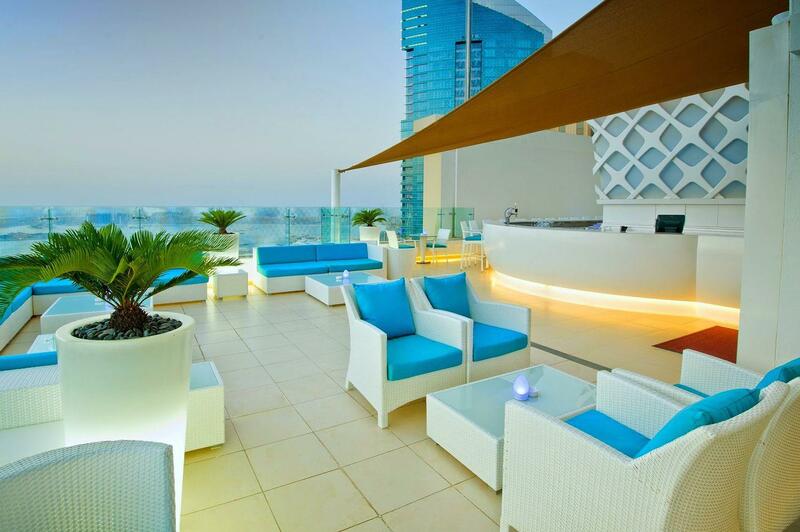 From the outdoor terrace you can see out onto JBR, the Arabian Gulf and beyond. It's great for drinks, always busy on a ladies night and it has an extremely good value Friday evening brunch. You can't go wrong. 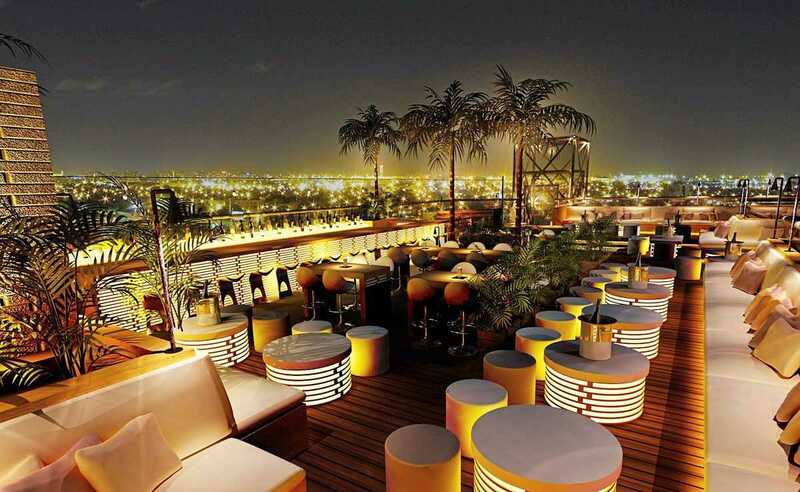 While 40 Kong might not boast the same widescreen views of other bars in this list, the open air terrace is immediately relaxing, with ample seating and a fantastic music selection that won’t drown out your conversation. Don’t be surprised if you end up discussing how many of the songs you’ll want to download when you get home. Following the less-is-more philosophy, Level 43 really is all about what you can from it rather than what you can see in it. 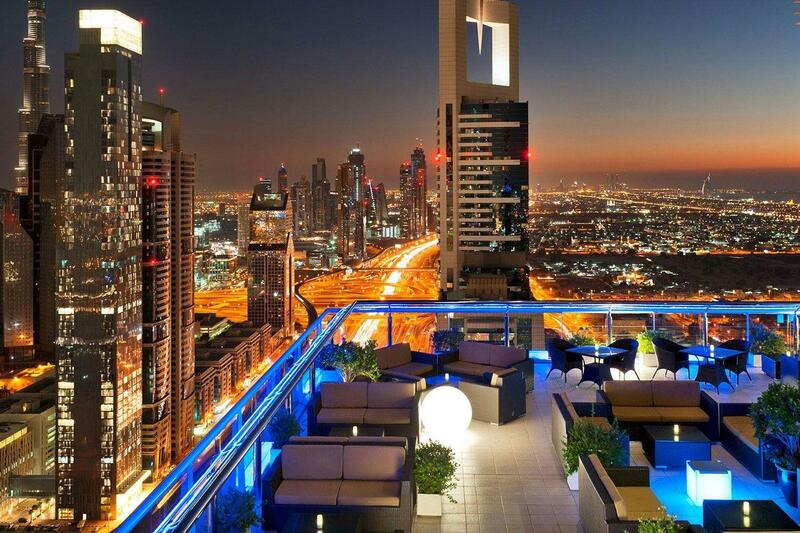 The decor is nearly nonexistent, instead allowing you to simply enjoy a near panoramic view of Dubai’s modern skyline. This open air roof terrace allows the city to do the work for it and that works in its favour. A companion bar to the Alta Badia restaurant on the floor below, this is an excellent setting for a pre-dinner aperitif. It makes the most of it’s setting with a sloping wall of floor-to-ceiling glass panels, which provide dizzying views of Sheikh Zayed Road, Jumeirah and the coastline. As you’d expect, the bar snacks are gourmet quality. 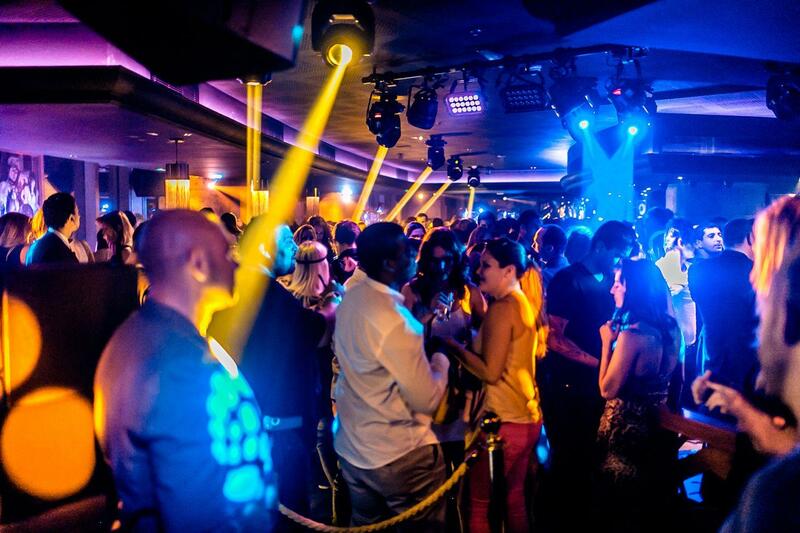 Battling Level 43 for the best bar on the 43rd level in Dubai, something of a niche competition it has to be said, Q43 is a relaxed place that offers a home for the music loving, pool-playing media types from the immediate neighbourhood. A DJ plays at night while imported French pool tables sit at one side of the bar, and it even shows football on Saturdays. Describing itself as a New York style loft, the venue's great location, laid back atmosphere and Palm Jumeirah views, means this one has to be on your list. Back when we were regular visitors to Dubai, the Observatory was always one of the first stops on the list. Whilst some other bars pride themselves on being hidden away, you’ll spot this one from your place in the traffic trauma of Sheikh Zayed Road and wish you were there. 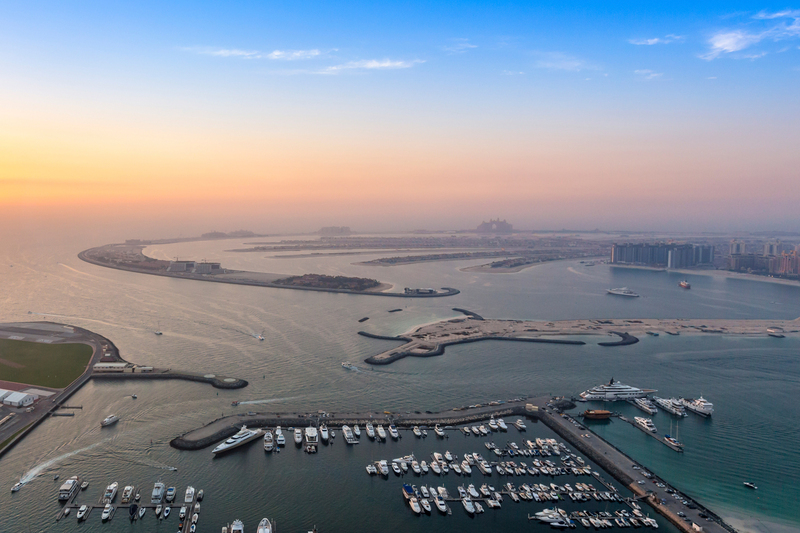 Enjoy an after work drink or a long, slow session with incredible views of the whole Palm and the Marina. Don’t forget to order something to nibble on; the venue has one of the most varied bar menus around.